What if we told you there was a guaranteed way to the top of the page on Google? You’ll be able to reach prospective patients online who are outside your jurisdiction or, better yet, who don’t even know they need a chiropractor. Pay-per-click advertising, or PPC, could be the secret weapon your chiropractic marketing plan has needed. PPC advertising puts your practice’s name at the top of the stack on page one. Google is the answers machine. The phrase, “Google it” has become common place for finding answers to your problems, like finding the closest ice cream or the best chiropractor. More and more people are searching online for local businesses and, when organic traffic isn’t enough, PPC advertising is a way for you to jump ahead of the competition. It can be easy to assume people don’t click on those ads if you yourself don’t. But keep in mind that Google AdWords is a multi-billion-dollar business. People are definitely clicking on the ads and businesses are definitely seeing results, so why not join them? Let’s start at step one – Are people in your area looking for a chiropractor? This is crucial. If the search volume for “chiropractor near me” is low, then we can’t make it go up. As much as we would like to, we can’t make people search explicitly for a chiropractor. But we can target adjunctive services. Are people in your jurisdiction searching for “sciatic pain solutions” or “carpal tunnel relief”? One of the benefits of PPC is that you can target those keywords and, with the right ad and offer, get them to your website. Great! 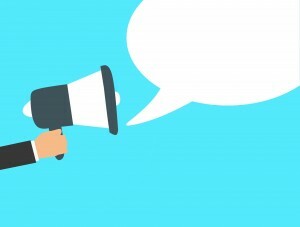 Someone clicked on your ad – Now what? Getting someone to click on your ad is only the beginning. Once they do, you need to present them with the answer they were searching for. If someone clicks on your ad about carpal tunnel pain then lands on your home page that doesn’t mention carpal tunnel, they’re going to go back to Google and click on your competitor’s ad. However, if they arrive at a landing page created specifically for the ad they clicked on, they will be more likely to convert to a new patient. This is where it helps to have one central point of contact for your chiropractic marketing and advertising who truly understands your new patient goals. Once the prospective patient lands on your custom-built landing page where the copy seems like it is speaking directly to them and their needs, then, ideally, they will pick up the phone or schedule an appointment online. This is the passing of the baton from online to real life, where prospective patients can become real-life patients and complete the new patient journey. Want to learn more about how you can use PPC to grow your chiropractic practice? 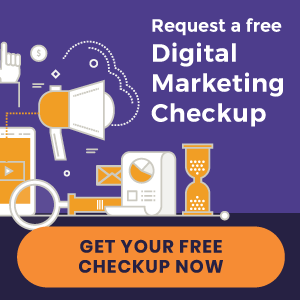 Click here to learn about how Perfect Patients can get you more new patients with pay-per-click chiropractic digital marketing strategies. Wow!! Awesome Post ,very helpful article . To enable you to easily find the chiropractor nearest to you we have included advanced search filters where you can search in the category that best fits your needs, your location and radius of your position in Fremantle Australia.